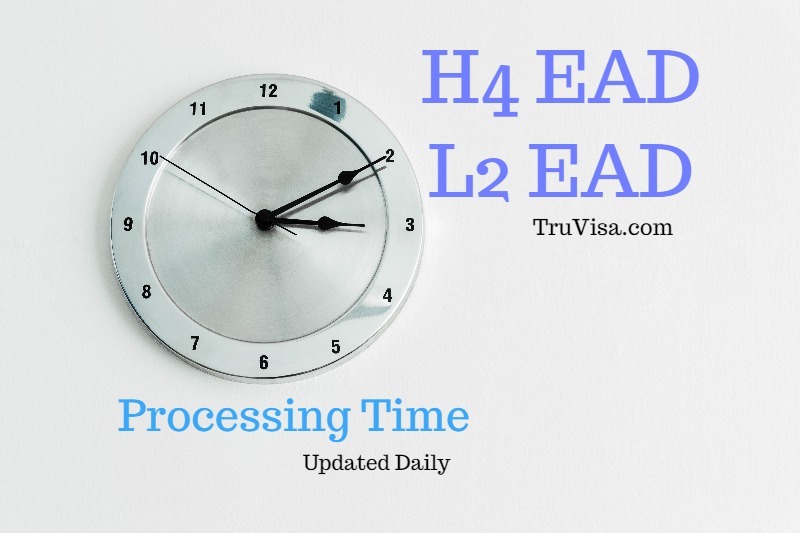 I sent new H4 EAD application to Dallas Lockbox – now, how long will it take to receive H4 EAD receipt # from the day when package was delivered? It can take 7-21 days for receipt to arrive. I see that NBC processing time disappeared from the webpage. What happened? Thank you for you work and have a great weekend. 1) Now i am aware that as soon as i left the country, my i539 application gets closed/abandoned automatically but my question is does the i765 application gets abondoned too along with i539 or does it stay active – (it is still pending as of today – April 10th 2019) ?? 2) Now that i am back to US with Renewed H4 Via Stamp , do i need to apply for H4 EAD ( i765) again or would the old application for i765 be considered Valid and Active ? 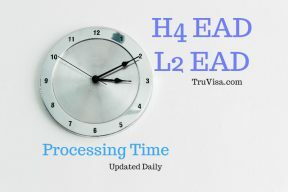 I have written on what happens when you travel while your H4 extension and H4 EAD are pending here. even on my Return to USA on 2nd April ( Still my Old Visa is Valid and Aditionally got the New Visa Stamped till Dec 2021 ) so based on that which of the above two option apply to me ? I have been on H4 Visa from 2016 , and this time as well it is the application to extend the same H4 Visa – i am not doing any change of Status from another visa type. Please ask question on the article that I linked as your question about travel is out of scope of this article. It is easier for others to understand the context if you ask it on correct page. I am applying for H4 EAD and my Spouse’s latest I-797 receipt # starts with EAC, so sending the application to USCIS Dallas Lockbox. is going to actual service center (California/Texas/Vermont/Nebraska) for further processing from Dallas is random or does this depend on EAC/WAC or physical location of applicant? Your question about H4 EAD USCIS service center has been added to our forum and answered there. Good Evening, How do I check the processing times for I-130 and I-485, for NBC please? Check I-130 processing time here. Check I-485 processing time here. Thanks Anil, but how do I which of those belong to NBC, because any of those said that. Hi Anil! Quick question – from your experience, do you feel any difference when it comes to the time it takes for the ead to be delivered when it’s a marriage based case vs. employment based? EAD card approval time may vary but not the delivery once approved. EAD case (F-1) received on 25th Feb.
Current Status: Case was received. When can I expect my EAD Card? Thanks! Please use the processing time given above to estimate your case approval. My case has just been approved, I’ve updated the data as well, however it doesn’t seem to update. L-2 EAD filed on nov 29th (reported as dec 3 due to inconsistent uscis data) at CA center, approved april 9th. Thanks again for answering my questions! Thanks for sharing your case details. We will update our database. Been over 143 days (close to 5 months) and no update yet. Which month USCIS is processing applications for? When can I expect my EAD/AP? Please check the processing dates and time given above. Just sharing my positive news: i485 Receipt date Jan 10, 2019 to National Benefits, just got Approval last night for EAD work and travel yesterday on April 5.
hope to have EAD card in a few weeks! good luck all. Congratulations and thanks for sharing your case update. We appreciate it. Did you expedite your EAD? It’s amazing that you received it in less that 3 months.